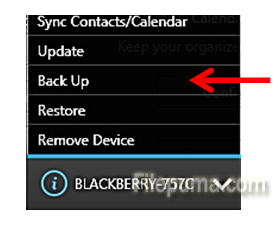 How to Backup the Contacts from Your Blackberry Device Using Software? Before you lose your Blackberry, or in case you switch phones, it is a good idea to create a backup of your contacts from the Blackberry device. Now your backup will be saved to your laptop. Please, be aware that it may take some time for backup to complete.